Enter below for your chance at 100 pounds of free Nutrena feed! Must be a resident of the United States to enter. Please explain in 500 words or less why you love your AQHA foal and how he or she has improved your life. This promotion is in no way sponsored, endorsed or administered by, or associated with, Facebook. You are providing your information to AQHA and Nutrena and not to Facebook. The information you provide will only be used for further relevant communications. The Nutrena #AQHAFoals Essay Contest runs May 16-June 1, 2016, and is open to individuals 18 years of age and older who reside in the United States. One entry per person. Four winners will receive 100 pounds of Nutrena feed. 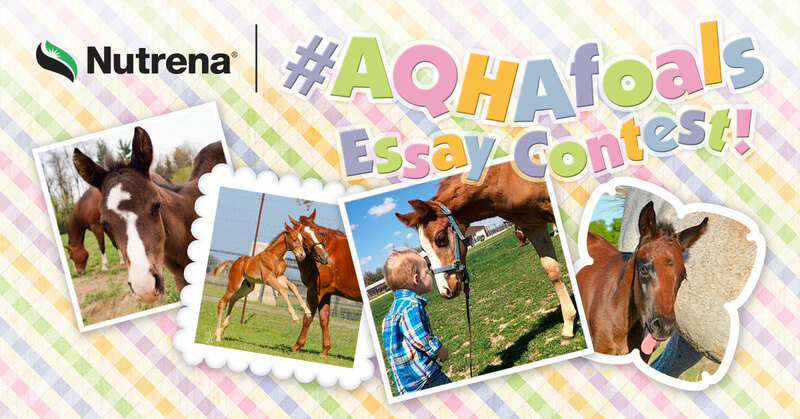 Read the Nutrena #AQHAFoals Essay Contest official rules.